J’aurais voulu un conseil si possible. J’hésite à me procurer soit un Appleton Estate “Joie” anniversaire blend 25 ans ou bien un English Harbour 1981 25ans. Lequel des 2 me conseillerais tu en 1er ? Caner translation: Hello, I would have liked some advice if possible. 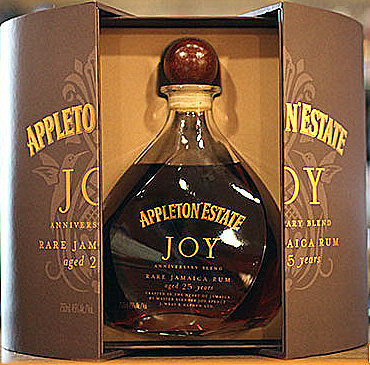 I am hesitating to get either an Appleton Estate “Joy” anniversary blend 25 years or a English Harbor 1981 25 years. Which of the 2 would you advise me (to get) first? That depends on your personal tastes. 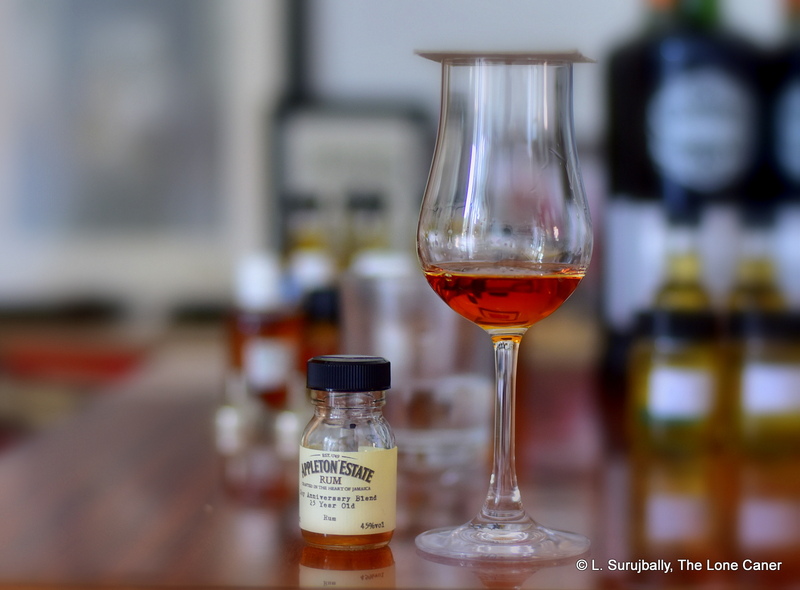 The EH-1981 is a bit lighter, more delicate, sweeter and 40% – I also believe it has been somewhat dosed with additives. The “Joy” is 45%, un-dosed, funkier, fruitier and not as sweet. I like them both, but currently, my preferences would go to the “Joy” since the prices and ages are about equal. Mes goûts pencheraient plutôt sur le fruité bien exotique, vanillé, caramel, chocolat et le sucré tout modération bien sûr. My tastes tend rather to exotic fruitiness, vanilla, caramel, chocolate and sweet all in moderation, of course. Lequel me conseilleriez vous du coup ? Très bien je vous remercie du conseil et à la prochaine occasion je me procurerais la Appleton Estate 25 ans. Very good thank you for the advice and at the next opportunity I will get the Appleton Estate 25 year old. D’après vous entre le Appleton Joy Estate 25ans, le Rhum Nation Demerara 1991 25ans et le English harbour 1981 25ans seraient dans le même style que le Zacapa Royal ? Et Quel Rhum d’après vous serait dans le même style que le Zacapa Royal sucrosité, caramel, fruit exotique caramélisé ( banane, ananas), gourmant mais en étant une gamme au dessus, encore plus meilleur ? Si vous pouviez me donner 2-3 noms au dessus du Zacapa Royal? [In your opinion, between the 25-year-old Appleton Joy Estate, the 25-year-old Demerara Nation Rum and the 25-year-old English harbor 1981 would be in the same style as the Zacapa Royal? And what rum you think would be in the same style as the Zacapa Royal sweetness, caramel, caramelized exotic fruit (banana, pineapple), greedy but being a range above, even better? If you could give me 2-3 names above the Zacapa Royal? Since I have not tasted the Zacapa Royal, I cannot really answer the question. 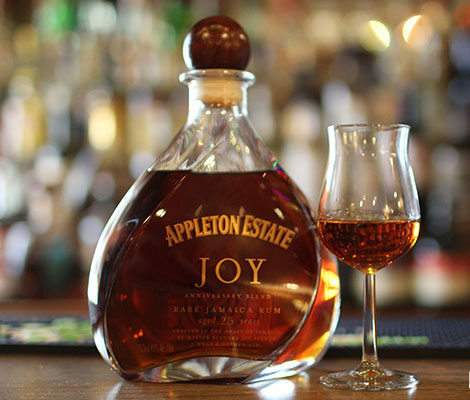 Dear Lance,- When reading your (what I thought) glowing appraisal of the Appleton Joy rum, I was looking forward to a 92-95 rating. Alas, you only scored it an 89…Gee whiz, what does it take to be the best? I understand you have sampled countless premium examples, and this particular product is reflective of a certain genre within the sector, but if you ever score a 97 or above, I’ll go he! The 89 is reflective of a little weakness and we’ve-had-this-before in the nose, other rums that were in play that day, and still others which I recall that were of similar type. It stopped it from topping 90. I fully accept this is a subjective thing, and have always had a love-hate relationship with scoring as a whole. On balance, the narrative says more (to me) than the score does and it’s clear, in re-reading how positive about the Joy I was in my writing, that this would in many people’s eyes, be a 90+ pointer. The scoring method, which is built up from four major sections (nose, plate, finish, intangibles), and subscores within those. I wouldn’t mind recalibrating the thing, but to do so for 600+ rums? I lack the time. The best I can hope for is to have scores be roughly comparable. In the first 200 or so reviews I was a lot harsher in my scoring; and too, always worried about over-enthusiastic scoring of rums which to that point were exceptional…so I left space for future rums of great quality that would inevitably come. Given that all rums of roughly equal quality (in my opinion, at least) should score roughly equal numbers, I’m kind of stuck with saying a new rum equivalent to another one I scored 92, should also score around 92 — otherwise as a comparator the score lacks meaning. I don’t do this either deliberately or even all the time, but I have a good memory and remember the amazing rums that enthuse me and how I scored them, so some equivalency is inevitable. At the end, I think that any rum scored 90 points or above, is exceptional, and 85 to 89 is just about there. Even within its subjectivity, whether that score is 90 or 97, such rums are worth checking out. Not sure this helped, but I’ve tried to lay out my thinking for you as best I could.